It is a deceptively simple statement for what was, ultimately, the delivery of one of his first transport manifesto pledges: The Hopper ticket. This ticket will allow all travel smartcard users to make a second bus or tram trip within an hour of boarding their first bus or tram at no extra cost. Two for one — £1.50 for two bus/tram trips within one hour of boarding the first leg of the journey. The concept is simple, but in ticketing terms the ramifications have been huge. For the new bus hopper arguably represents the first introduction of new ticket functionality on London’s buses since the arrival of smartcards. As a result, an estimated 30m bus and tram trips a year will now be free. As the man ultimately responsible for the collection of fares, Verma’s understanding of the technical and financial complexities of the fare box on London’s buses is barely rivalled. As a result, he seemed the natural choice for LR to sit down with to explore the complexities involved in implementing the Hopper behind the scenes at TfL. If there is one theme that continues to resonate throughout that discussion it is that this is a landmark change. The impact on the fare structure in London cannot be underestimated, he stresses. It required a reasonably complicated fare change. Yet, once the Mayor had reiterated his commitment to the Hopper, it became a matter of not “if” but “when.” Work on realising it began and a launch date for September was set. This isn’t to say, of course, that the Hopper was an entirely new idea. That difference is important, he says. Whatever the technological implications, it has been clear for some time that one major obstacle to implementing some form of bus hopper sooner has been the cost. Offering a free second bus trip within in the hour means revenue loss to TfL. The Hopper is going ahead now because the Mayor has agreed to foot the bill for that. The bus hopper as it is being introduced now, Verma admits, could have been offered earlier had the political will been there to accept that financial consequence. Currently the cost of offering the new time based bus ticket is estimated to come in at £30m. Previous estimates billed the bus hopper at £50m – the figure given to London Assembly Member Caroline Pidgeon when she pressed the former Mayor of London Boris Johnson on the cost of a One Hour bus ticket at Mayor’s Question Time in November 2014. We ask Verma to explain the difference. He argues that the figure given two years ago is not actually significantly different from today’s in terms of how it was calculated. The £50m figure captured the estimated gross revenue loss at the time and that figure has since been corrected down. TfL now estimate that the gross revenues loss following the introduction of the new Hopper will add up to around £43m, not far off that £50m total. But they now anticipate that the new bus fare will attract an estimated £13m worth of new trips annually as well. These estimates are based on Oyster card data, which allows Transport for London to see how many people are making a second bus trip within an hour. There are roughly 1.2m Pay As You Go journeys on buses everyday. Approximately 20-25% of passengers make a second bus trip within the hour – roughly 300,000 a day. This is how the £43m in lost revenue is estimated. The £13m worth of new trips that will be made is an estimate based on the inversion of the principle that if fares increase passenger numbers will decrease. In this case the opposite is anticipated: the significant reduction in the cost of some journeys is expected to attract new trips. This isn’t a concept plucked from thin air. TfL has fares and passenger data going back to 1970, Verma explains, and the £13m estimated is based on the observed proportional change in passenger numbers to the proportional change in fares over the years. In general, Verma does not expect that the new bus trip pricing will lead to transport demand shifting from Tube and rail to bus except perhaps at the margins. In part it is hoped that the Hopper will improve journeys by reducing wait times as, like their season-ticket-holding counterparts, Pay As You Go passengers are now able to get on the first bus, even if that means a change later. Wait times are therefore expected to drive user behaviour with the introduction of the new fare. TfL have not yet undertaken any analysis on how much individual journey times might be reduced. This would involve an extensive exercise that looks at a wide range of factors, including route planning, to compare season ticket and Pay As You Go users. Verma expects that this analysis will be done in the near future, as it would allow TfL to understand how people are using the service. As TfL themselves do not collect demographic data, no analysis of the effect on different demographic groups can be undertaken to understand its impact. At a technical level, the new Hopper ticket is reviving existing functionality within Oyster rather than creating new functionality. This is why it was possible for Transport for London to deliver the manifesto pledge within a few months. The Oyster system, which was introduced in 2003, has been reconfigured to allow transfer between buses or bus and tram. In terms of process, when a passenger taps their card on the Oyster/contactless reader a series of checks are made on the card. At the most basic level: Is there enough money? With the introduction of the Hopper ticket a new question was introduced: Have you boarded a bus or tram within the past hour? If yes, a 100% discount on the £1.50 about to be charged is to be applied. The 2-for-1 ticket works by fully discounting the cost of the second bus or tram leg of journey. Two functionalities in the workings of the Oyster card are being used to create the Hopper: time since last boarding and fare discount. Both are already used for integrated fares such as when transferring from national rail services to the Tube. The time and the discount are configurable. The former could be anything: 15min, an hour or a month. The latter anything from zero to 100%. “Configure it to 60mins and a 100% discount. That’s how you create a £1.50 in an hour”, Shashi Verma summarises. Because the 2-for-1 Hopper is reviving existing functionality rather than create anything new the price tag is under £100,000. To set this in perspective, the programmed roll out of Contactless on rail across London came to £68m. Whilst rolling out to the 2-for-1 Hopper could be turned around with a few tweaks to the Oyster and Contactless card code, allowing unlimited transfers within an hour is more complex. “So, to do that on Oyster is seriously difficult.” Says Verma. “Very, very difficult. Because we have to get into quite fundamental functioning of Oyster.“ Unlike the 2-for-1 Hopper, which uses existing functionality on Oyster, an Unlimited Hopper would require making changes to the Oyster card back-end product itself. It is currently possible to code the Unlimited Hopper for Contactless. This is because the back office of Contactless is newer and more accessible than Oyster, whose own back end dates back to the early 2000s. The back end for Contactless allows TfL to create and process data differently from Oyster – in short, more easily. “The mess is the same mess you find with any IT after 15 years. It starts to look a bit old”, Verma adds. The intention in the long term — not just for the Hopper but in general — is to upgrade the back office of Oyster to the same level of service as Contactless, including linking the two systems. This will allow the complicated fare rules stored in the more sophisticated Contactless back office to act as a single source of information on those rules for both systems. In practical terms this would mean a tapped Oyster card charging a passenger for their trip but also talk to the back office of Contactless. If that passenger is making their third or fourth bus journey within the hour, the Contactless back office can then see that and issue a refund to the card. This merger of the back offices of Oyster and Contactless is currently set for 2018. Once complete the Unlimited Hopper can be introduced. Yet, this will likely not be the biggest thing to come out of that eventual merger. This will be weekly capping on Oyster – fare capping for travel between Monday and Sunday at the price of a 7-day pass. This is currently only available for Contactless users. The back office merger is part of the wider Contactless programme which began in 2011. The first phase of the programme was launching Contactless on buses in 2012, followed by the roll out of the system across the Tube in 2014. This phase started with upgrades to the telecom infrastructure over the summer. The upgrade will also allow the topping up and buying of tickets to become even easier, via an app with instant delivery rather than the next day as currently. Verma reiterates, however, that although the tweaks may seem small they get into the fundamental functionality of Oyster and are therefore not trivial to make whilst ensuring the system keeps running without hiccups. This isn’t to say that changes aren’t still being made to the current version of Oyster. Tweaks are made the fare system every week. The majority are smaller tweaks such as the addition of stations to the Oyster card network. In the past months stations including Gatwick and Dartford have been added. The complexity of adding a station varies – testing in advance therefore also varies in complexity and duration. It may only be three to four days in the lab and a few days of testing on the live system for a station like Dartford. Gatwick, by contrast, was more complicated and time-consuming. New rules had to be written as it required new rules to be applied for the Gatwick Express, whilst passengers using Southern or Thameslink would have the integrated fare structure applied. Introducing the Hopper was much more extensive than adding a new station. Testing for the Hopper has been going on all summer. Live system testing started in July, following successful lab testing. For this TfL sends out its testers on the system to stress test the new code. The more extensive the change, the longer the live testing period. Contactless, for example, was introduced after nine months of testing. Live testing is done in a very controlled manner. The live testers are sent out and test the new functionality in the live environment using test credits on both Oyster and Contactless. For the Hopper ticket, testing was first rolled out on the bus routes at a small garage. This was then expanded to routes from multiple garages, with trips being made between them. As the Hopper also allows free transfers between trams and buses, the next step was to expand testing to include the tram network. The Oyster team only has two dedicated testers normally, but when needed during crunch time – such as in preparation for the Hopper roll out – up to twenty temporary testers will be out and about across the system. Nothing goes ahead without Verma’s sign off: “I am the Master Tester. Nothing goes out until I have seen the report.” A lot of testing also gets done by the team during regular travel – including by Verma himself. “Who Benefits” …its impacgt. -> impact. What have they said about the maximum abilities, the future-proofness of the new backend? Is there some obvious next step that DfT, TFL, NR, etc agree on but are being quiet about? up to twenty temporary testers will out and about across the system. Very interesting, I know some of the background to Oyster, but it was nice to see some gaps filled in…. Mr Verma’s comments on Regression Testing strike home….. this is a clearly competent professional talking, & what a pleasant change it makes. I’ve done software testing in the past & it’s a mixture of a Black Art & really rigorous, structured evaluations, before, during & even/especially after “the product” is released. Not an easy task. I presume that all of this only applies to PAYG Oyster users, since seasons are already fully prepaid for all journeys within zones? I’m going to sound like an appalling old grouch but I do think the “Verma spin machine” has gone into overdrive here. There is very little that is “major” or “revolutionary” about the current stage of the Hopper ticket. It is existing functionality that has probably been tweaked a tiny bit and subject to some extra testing in areas other than New Addington. Otherwise it is using what was always there and was specified a very long time ago. I also think the article is incorrect in saying that the Mayor is “funding” the Hopper ticket. I thought the Mayor and the Commissioner had both said it was being funded from “efficiencies” within TfL’s budget rather than an inward additional subsidy from City Hall? The just published Mayoral Direction on the Hopper Fare says TfL will manage the revenue impact within their new business plan. As the accountable Director I would sincerely hope Mr Verma *is* required to sign off new developments, their testing and the decision to implement. Otherwise what is the point of his role if his “neck is not in the noose” for failure as much as he is “on the podium for accolades” if things go wonderfully well? I note the careful rebranding by Mr Verma of the “Future Ticketing Project” as the “Contactless Project”. I look forward to seeing if the next Quarterly Investment Report from TfL uses the new “brand name” rather than the one that’s been used for the last umpteen years. I note there is little explanation as to why a project that was stated as being ready in 2013 then 2014 then 2015 (by the former Mayor) is now delayed to late 2018. This was all discussed in Mayor’s Question Time this morning where the issue of weekly capping on Oyster was raised. It was always going to be complex and involved but what else has gone on since 2013? I am slightly astonished by the apparent implications of the “future Oyster” structure. Is Mr Verma really saying that there will be direct real time comms from a gate card reader to the “central system”, a calculation performed and confirmed and back again during the card “read / write / check” process at a validation? I don’t find that credible given the less than 100ms performance target that (used to) apply for Oyster card validations. We already know ITSO and Contactless cards can’t meet this time parameter. Slower Oyster card validations at validation devices poses risks to gate throughput speeds. My understanding of the Future Ticketing Project is different but I accept TfL may well have changed their approach. Even if they have I must admit to being very surprised by the apparent new approach. But this is not all revenue loss. No two-for-one offer makes money for the vendor unless more people are buying two packets at the offer price than would have bought one at the normal price. Some of those two-leg journeys would not have been made at all (or would have been made by another mode) if the passenger had to pay for both legs. And other Hopper discounts will be absorbed because the user will still reach the daily cap – albeit later in the day. WW: Of course there will not be ‘direct real time comms from a gate card reader to … during the card “read / write / check” process at a validation’. That is not possible, it is a key attribute of the whole ticketing system. I do not read Mr Verma as saying that at all. The clue is in the phrase “the Contactless back office can then see that and issue a refund to the card” (in the Multi-buy Hopper paragraph). In other words, the charge made for the third bus journey within the hour will be refunded to the Oyster card when next used. That is presumably feasible because it will be quite rare, so the list of oyster-cards needing a refund will be fairly short and can be broadcast to all gates. Boosting contactless is all very well, but, as you imply, it’s never going to suit everyone. However, the boost may well be a softening-up for further assymetries to be introduced, where some feature or other is easier to introduce on contactless than on oyster. Although they do not seem to have gone down that road for the multi-buy; presumably that could (technically) be introduced much sooner on contactless, whereas it seems it will wait until they can both be done together. As I see it, one can pay to take a 20 minute bus journey to the supermarket, spend 30 minutes shopping and have 10 minutes in which to catch a bus home for free. Have I understood the Hoppa correctly? This, coming from me w may sound unusual, but, mostly you do sound like a grouch (!) …. however, in one area, I fear you may be correct. Your last para. on the apparent denigration of Oyster vs “contactless” raises my suspicions as well, I’m afraid. Being over 65, I very very rarely have to use my Oyster card, these days, but I’m going to insist on keeping it, as I regard the security/theft/data capture implications of contactless very worrying. Can we form an “LR paranoid’s club”? Whom else could we trust to be let in? AIUI, there is an ongoing project to completely re-jig Oyster, with new cards, with new chips & software, now supposed to be available in (?) 2018 (?) Is this the one that now appears to have been re-labelled “the Contactless project”? If so, I too smell something fishy. Yes. And that is the situation on Tramlink and has been so for years. @GregT – Iwould like to join that club, although I fear I may not be sufficiently Luddite. (And when I see the fruits of the spread of contactless payments in terms of extra time spent at checkouts, it is unclear who benefits). Turning to one of the strategic implications of the Hopper ticket,a number of LT bus routes are designed on the principle that a change of vehicle on a through journey is unwelcome because of the need to buy a new ticket (virtual or otherwise). It will be interesting to see whether this particular penny will drop, and when. @ Malcolm – I don’t want to do into a technical debate based on a tiny shred of comment as it’ll be fruitless. At present refunds are not transmitted to every gate nor are they held there for long periods. You nominate a location and have a fixed time period in which to collect. To reverse that, albeit not very user friendly, concept to “anywhere at anytime” will require some real re-engineering of system comms and device memory plus very rapid updating of the central system and subsequent cancellation of refund txns once the refund has been collected once. Oh and just to throw in a real nasty – bus and tram tickets are also sold weekly and thus should have a future 7 day cap. How on earth do you send refunds to every bus and tram in London given you’ve no idea when and where a person may use their Oyster Card next? I’m not saying it’s impossible, just that to change existing system concepts has rather large system consequences *unless* the use of Oyster cards is plummeting. I don’t see that many contactless payment cards used on the buses I use. They *are* used but are not the majority by a long chalk. I guess I’m grouchy because much of what is being claimed as somehow “amazing” is simply good practice. Of course you MUST do very thorough and effective forms of testing on such a public facing system that handles so much revenue. To not do so would be unprofessional, crass and let’s face it severely career limiting. I did run the early version of the UTS central system, I did create and test the data, we did launch new products in the time I was involved. Yes it’s far larger and more complex now and TfL have taken on new areas of development but the underlying issues and approach should be the same now as it was back then. You want the thing to work and you work professionally and competently to deliver it. It’s not rocket science. WW: yes, you are right, my understanding of the “refund” phrase in the article does indeed seem rather far-fetched. (Even though I think double collection could be prevented relatively easily by use of a single code, with codes for recently collected refunds held on the card). But you are also right that it is not sensible to enter such a technical debate without much more detailed information and understanding (much more than I have, anyway). To take a step back, I don’t see that relative volumes of Oyster and contactless making much difference to the feasibility of anything unless and until Oyster volumes go below, say, 5% of transactions. As long as they stay above that (which they surely will for quite a long time – think children and others without bank accounts), then fare innovations will be limited to whatever Oyster can be stretched to. Whether Oyster use “plummets” to 10% or stays where it is now probably does not make much difference. @ Graham H – the “through route vs changing buses” aspect has already been picked up and used by TfL to justify some of their recent consultation decisions on bus service changes. Travel habits are changing though, and we want to make sure that our bus services can match future demand in the best way possible. We’ve carried out a review of routes to and from Abbey Road and Finchley Road serving the Baker Street corridor (routes 13, 82, 113, 139, 189, N13, and N113) and would like to hear your views on our proposals. From September 2016 we will also welcome the introduction of a one-hour ‘Hopper’ fare. The ‘Hopper’ fare will automatically be given to anyone who uses pay as you go with Oyster cards or contactless payments, and will allow passengers to make an additional bus journey for free within one hour of touching in on the first bus. The Hopper has also been mentioned in other consultation responses but they can’t be copied and pasted from the pdfs for some daft reason. I expect we will see a great deal more use of the Hopper ticket as justification for all sorts of changes. I may have said this here already so apologies for repetition but I think the bus network ramifications will be the really significant change resulting from the Hopper ticket, not financial savings for passengers. As Oyster eventually allowed the closure of LU ticket offices then the Hopper will allow the thinning out and restructuring of the bus network. TfL know this already and I expect, if they are clever, they will secure far more than £30m per annum savings on the bus network – that’s loose change really given costs are in the region of £2bn pa and revenues £1.6bn. Whether those further savings are ploughed back in to the bus network or just used to fund the fares freeze remains to be seen. We’ve had these tickets in Brighton & Hove for a little while now but they are only available on the mobile app that is very popular here. You buy the ticket then activate it when you board and show the driver) and then when you get the next bus you show the driver the screen from the app. As long as it’s valid when you board the 2nd (or 3rd) bus then there are no issues with the actual trip on the bus being longer than an hour. And yes this would work for a 15 minute bus trip, 30 minutes doing X then getting the bus back home. I think that is clearly going to be the case. I don’t have a problem if the objective is to provide a more efficient and useful bus network – namely one that provides, on average, faster journeys for passengers. If it’s simply a cost-cutting exercise I will be more concerned because that won’t necessarily drive positive change. My personal view is that the network does a looking over, certainly as far as zone 1 routes go. I occasionally catch buses home in the evening from the Holborn/Strand area up to Kilburn via Oxford Street and am amazed at how lightly loaded the majority of buses are at this time. Certainly contrasts to routes in central South London when I was living there (e.g. Brixton, Streatham, Norwood, etc) and some other hotspots between zones 2-4. How to better allocate resources on a network that is heavily radial is obvious a significant challenge though. @Anonymous** – Certainly when I worked in the City – and I suspect travel patterns haven’t shifted that much in the last few years – the 76 from Bank to Waterloo was more than half empty during the evening peaks, the 243 from Old Street likewise. These days I tend to travel only offpeak but I have yet to use a bus in central London which doesn’t have plenty of spare seats. Others may know better, but I suspect the main target is going to be those central area routes, which is where the greatest duplication tends to occur. I hadn’t thought the Hopper ticket would be very relevant to me, because I only make one regular journey that actually requires a change, and that not very often any more. But this talk of de-tangling routes has made me think about how it affects my view of future changes. Direct buses are convenient, but I don’t really mind changing if it’s free, and the second bus takes only a couple of minutes. As Anonymous 17:18 says, with a radial system, the buses get much more bunched up in the centre. If TfL had wanted to stop my current bus routes at the edge of Zone 1 a few months ago, I’d’ve been vocally against it. But if they’ll let me switch to another bus for free… well, I’ve now got a wider choice of end destinations than I did with direct routes and no Hopper. And less central congestion means faster bus journeys, which hopefully makes up for the time/inconvenience to change. Very neat – if it works out like that. My understanding of the future Oyster system, if it’s based on the contactless model, is that it won’t need to broadcast refunds to the cards at all, as the PAYG balance won’t be stored on the cards, but only on the central back-office system (which means you can also top up online or via an app without having to update the card). Instead, when you tap in to a bus, or the tube, all that happens is that your card token is collected (along with time and location). Then all the fares calculations, including hopper, daily/weekly capping, interchange, and so on, happen later on in a process run once per day. Much simpler – and would mean fares could be changed at will by future mayors without having to update all the readers. The only downside is that without any real time balance verification, you could travel for a day as much as you want with only a minimal balance, getting into debt. But presumably this is partly mitigated by the Oyster PAYG deposit, and transmitting a list of banned cards every night to all the bus readers. I don’t see any issue at all in getting a ‘free return’ within the hour. The costs in providing the service are related to time, distance and resources, so it matters little whether for a given fare paid or time taken you’re continuing in the same direction or shuttling back and forth. The fear perhaps is that some people who would have paid two single fares will now ‘take advantage’. That contrasts with an observation that some of these shorter return journeys ‘pre-hopper’ represented extraordinarily poor value for money on a cost per mile basis compared to other much longer single journeys, which naturally would have made them (the two fare returns) particularly unattractive, especially to the typically poorer users who rely on that kind of limited bus use the most. Shades of pre-pay metering rates in the energy sector come to mind. SHLR makes a very good point about removal of the transfer penalty offering possibility for ‘de-duplication’ on some routes which could actually help to cut bus congestion, increase utilisation of the remaining routes and fleets and help to spread crowding during peaks and disruption – i.e. a user could get a seat on a less popular bus in front then change later rather than wait to stand all the way on their direct one. ‘One free transfer’ is a popular fares model in many North American cities. The London ‘hopper’ falls nicely between this and the pure one hour unlimited regime typical of many continental European cities, so should be fairly understandable to visitors from abroad as well as locals. Of course there’s a revenue risk but this article already acknowledges it is not likely to be a cut and dried total loss. The result could in fact be much more revenue neutral, especially if combined with the operating economies offered by opportunities for de-duplication once the transfer penalty is eliminated and, if more passenger kms are generated overall, that could be seen as a positive contribution to society and the environment if some mode transfer from private cars can be demonstrated especially in the suburbs where the sparser bus networks can struggle to be attractive. In my view very well done for taking the risk Sadiq and TfL! Frankie Roberto: I think the system you describe is one to which WW refers as possibly the way it might go: but WW also refers to other hints suggesting that plans are not going that way. Hints seem to be mixed. The day’s free travel is indeed one big downside of such a scheme. The minimum price amount to put on the card would not be much of a deterrent, because you could use that (legitimately) on day 1, running the balance close to zero, then have a full day’s travel on day 2. Some mixed scheme may be possible, where online checks are attempted, but if they time out then the use is allowed. Together with a penalty for knowingly free-riding. Or on a train (where possible fares are much higher anyway), the “ban” could perhaps be worked out and broadcast to all stations during the journey. But it’s not straight forward. Fares can be changed pretty rapidly even now – I don’t think “updating all the readers” is the bottleneck. Possibly it’s the checks and tests that take the time; but the obstacle to instant fare change is probably more political than technical. TFL are already citing the hopper ticket in justification for route changes. This coming weekend various bus routes on the Isle of Dogs will be amended and re-routed. Some journeys that were previously possible by one bus (Docklands medical centre to Royal London hospital) will now need a change. Various objections to that were raised during the consultation phase. The official tfl response justifies going ahead with the route changes because the hopper ticket mitigates against the need to change buses. @Malcolm I was thinking of the Oyster PAYG deposit, which can’t be used towards fares, not the minimum balance — so it helps because you would t be able to get your deposit back if the card is in negative balance (presumably currently the case). That said, its currently only £5, which is a lot less than the maximum daily fare cap. But presumably the risks of increased fraud have to be balanced against the potential savings in running a simpler combined system. As to “fares can be changed pretty rapidly nowadays”, this may be true for simple pricing changes, but not for ticketing logic changes, which need the readers to be re-programmed (otherwise we’d have unlimited 1 hour bus fares already). Once (or should I say if) all this logic moves to the back-office daily process, complicated (or simpler!?) new fares ought to be simpler to introduce. Have been using it this week, great to take the first bus that comes along and change where necessary. There will be no more hanging around at bus stops in the cold or wet this winter whilst waiting for a direct bus and the journey will be faster too. Agree with WW that this means that TfL will look to thin the network to match demand on specific corridors as closely as possible, no need to offer a direct bus route between places A and C through B, just provide sufficient capacity for all passengers between places A and B and between places B and C and you can change buses for free at B. Looking at previous comments, would it be fair to say that the introduction of the hopper fare will have a major say in the pedestrianisation of Oxford Street? Frankie Roberto: As you say, the deposit you pay for an Oyster Card (I was confused by the reference to PAYG: you pay this deposit for the card, even if you plan to put, say, an annual travelcard on it and never use PAYG) is currently only £5 and is not much deterrent against a peak hour return to Watford Junction or whatever. And the card deposit could not be raised very much, because some would-be bus users just do not have, ever, say £30 spare cash to buy an Oyster. I think you may have misunderstood my point about speed of changing fares. As the article makes clear, changes of any complexity take time, because of the need to test them thoroughly, and test that the changes haven’t mucked up something else. Most of this delay is not caused by any need to “re-program all the readers” – it is not the case (as I understand it) that someone has to physically press one button (let alone lots of buttons) on every reader. Putting the new “program” (which may not be the correct technical term) in every reader is automated and is just about instant once you know for sure that it is correct. Island Dweller: I agree that thorough testing is “basic common sense”. But when it is not thorough enough, I don’t think the explanation is as simple as the idea being “forgotten”. I was responsible for a significant IT failure (not in transport) where everyone involved paid lip-service to the principle of not releasing until thoroughly tested, but in practice in the real world, externally imposed (and initially apparently generous) deadlines meant that corners “had to” be cut. All the printed material, training, publicity and surrounding systems just boxed us into the original timetable. As I should have insisted, you can have your software to the required quality, or by the required date. But, sadly as it turned out, not both! Sorry to be pedantic, but that test can’t be correct, because if that were so then not only would the unlimited hopper already exist but you would have an all-day hopper if you boarded buses frequently enough. The test is closer to “Have you been charged for a bus or tram journey within the past hour?” but even that would already provide for an unlimited one-hour hopper. The test must actually be something like “Is the previous item on this account a bus or tram entry which was charged normally and which took place within the last hour?”. This presumably explains why the hopper is spoiled by a tube journey between the bus journeys. The big drawback of “take the first bus that comes along and change where necessary” is that most people (myself included) just plain won’t know where to change, or what route to change to. I know the direct bus services in my area really well. For example, to get from my home to Lewisham, I can take the 122 bus direct. (I’m even enough of a transport geek to know that I can take the Fridays-only 931 mobility bus instead!) But if neither of those are available, but a 63 and 202 are both pulling up at the stop, which one should I take and where should I change? Or will it be quicker to wait for the 122 anyway? Hmmm… Are all the spider maps going to be updated to show the routes that we can make a single change to? That’s the only way I can see this being useful. ……………as it has been since it was diverted via Waterloo Bridge instead of the direct route over Blackfriars Bridge. It is now quicker to walk – as many of us have discovered. Solar Penguin: That knowledge – of where nearby bus routes go, how frequent they are, and where you might change from one to another – is one of those things that seems to just stick naturally to some people. I could certainly manage in my local area (and occasionally do), and I could have managed it when (long ago) I lived in North London – I could tell you now where you could have (then) changed from a 102 to a 29, even which way to turn at the lights to get to the required stop. But many people just do not retain this information, and not for want of trying. Proper (spider-free) bus maps would help, but only for those people (a minority I suspect) who are happy to spend hours studying them and keeping their eyes open. As a clue, whenever a bus has just passed me, anywhere I am even slightly familiar with, I could tell anyone who asked me what route number it was, and what its destination was. But I think most people just do not take in this information – in exactly the same way that I could not tell you the age, gender or hair-colour of the last person I walked past in the street. Some kinds of fact just stick to some people, and others to others. @ F Roberto – yes the “token” or “dumb” version of Oyster is what I understood the new system to be. It obviously has benefits and disbenefits. I think the lack of visibility of the card balance will be a major issue for a significant number of people. As I’ve said before not everyone has £20 or £30 as a card balance nor can they afford to auto top up at the levels that TfL insist on. Some people operate on extremely thin finances day to day and being able to check a bus display or at a gate or ticket machine is pretty much essential for them. It’s ludicrous to remove that function if the end result is that people end up in a financial mess the day after and can’t afford to rectify it. If it mirrors contactless those people will be barred from travelling. If they need to catch a bus to reach an Oyster Ticket Stop they’re stuck completely. Not everyone has back up Oyster cards or rich friends with contactless cards. I cannot see the removal of an essential “safety net” piece of information being remotely acceptable to London Assembly members who are already extremely alert to anything that may impact people on low incomes or who cannot access conventional banking services. 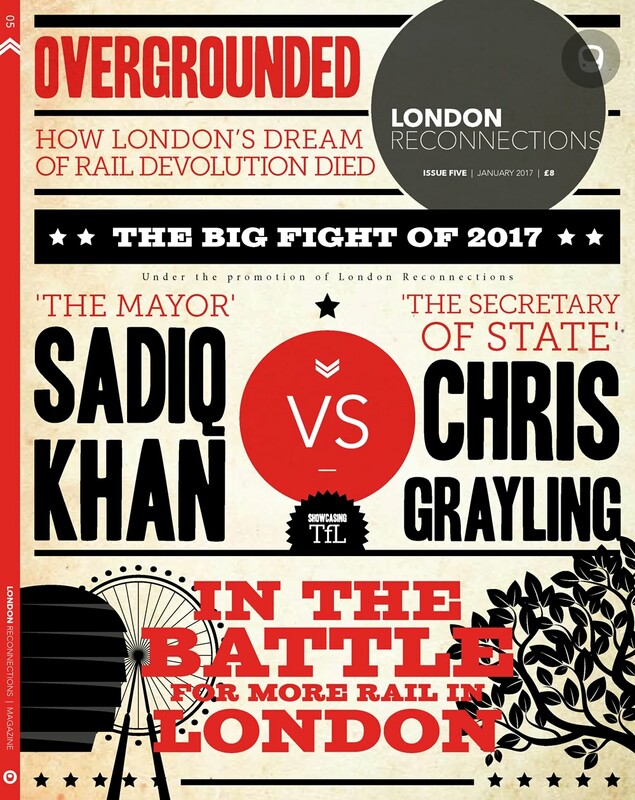 Much as Mayors might delight in “instant” fare charges – “Shashi reduce the Z1 tube fare to 10p for today” “Shashi charge people in Romford £10 for every journey on Crossrail” – there are a load of constraints here. Firstly I believe TfL fare charges normally go to the TfL Board for sign off not that you’ll see a paper to this effect. Secondly National Rail stations sell tickets for LU, DLR and Overground services. Thirdly TfL fares are a component in many National Rail through fares routed across London. Fourthly there are industry protocols to follow. Fifthly the Secretary of State has a sign off where National Rail services are affected. Finally there are production timescales for publicity and staff information. Spot the person who used to be client for the LU fares revision – and it’s much more involved these days than back then. There are also tests that have to be done on the data to make sure it’s correct and that’s before you get to anything involving new fares products or changes to commercial rules governing a plethora of things. Even with a “back room system” that all needs testing and checking too. I confess I know very little about how TOCs do their fare production process but with so many parties involved and such enormous complexity in products and validities it must make TfL’s process seem like a “walk in the park”. Before everyone gets carried away with delight at their “change at will” future bus rides it is worth bearing in mind that TfL are likely to face enormous opposition if they go too crazy in their rationalisation process. Don’t forget that for a lot of routes the greater share of passengers is those who have free passes that allow them to change anywhere but those self same people (or their parents in the case of school kids) will always prefer a direct bus to the shops / doctors / hospital / community centre (or school or college). We are due to get a TfL Bus review on access to health facilities. Expect to see an enormous “bun fight” from politicians as they fight to ensure their older / frailer constituents all have direct buses from everywhere to every local doctors / health centre / chemists / hospital / dentists. Remember the Enfield Bus Review that the council did which hacked the core network to bits but created lots of beautiful “round the houses” routes to every hospital in the borough and over its fringes to places like Barnet Hospital? TfL are in a “no win” situation here as there will be a load of irreconcilable demands especially given the dreadful state that the NHS is now in with the new PM having apparently demanded a halt to large scale reorganisations of hospitals but giving no extra funding. How TfL plans in that sort of confused environment is anyone’s guess. Note that I’ve no issue with buses serving hospitals and health centres it’s just that not everyone can have a direct bus to every conceiveable facility. At some point there has to be a compromise or else the bus network ceases to be effective for other users. There will undoubtedly be rationalisation but what looks easy and without any downsides when you’re fit and young may not be so attractive if your legs move a little slower and your eyesight isn’t so good. TfL has to balance the needs of all users or else it will face legal challenges and we haven’t even discussed how those who are wheelchair users would find the idea of enforced changes compared to a through bus today. @WW I agree that not being able to see your balance as-you-go at ticket gates is one of the disadvantages of the contactless/”dumb” system. However you are able to see a tally of your charges for today’s travel on the TFL website (with a caveat about that being an ‘estimated’ total, not a final one), and presumably this could also be made accessible from a smartphone, or perhaps from station ticket machines. I take your point about “instant” fare changes having a number of political impediments, but at least with the contactless/back-office system they become possible, whereas the existing Oyster system is still lacking the Mon-Sun capping of contactless. BTW I meant 363 not 63, obviously, in my previous post. Sorry for any confusion that typo caused for anyone! @timbeau – I never understood the rationale for that change;it wasn’t as if there weren’t already frequent buses between the Bank and the Strand. From Old Street, the 243 was a much better bet than the 76, with the delays around Holborn being much less than those around Ludgate Hill. We are due to get a TfL Bus review on access to health facilities. Any hope of a campaign against full-width road humps on bus-route roads? Going back a bit I agree fully with your worrying re people with “thin finances” – something a geriatric’s-pass user like me forgets. Thank you for reminding us. Something else where I think Verma is misleading – he talks about passengers being faced with the “choice” between a single-journey or a one-hour ticket in other European cities, but so far as I am aware in the European cities that offer them ALL bus tickets are “one-hour” by default and there is no cheaper one-trip-only option. The only way I can see the model working for anonymous cards is for central resolution fares to be processed after each journey, rather than at 4.30am the next day with Contactless. This would still take most of the processing load off the gateline. At the moment gates and bus ticket machines are updated with a Deny list if the 10p Contactless transaction made on the first usage each day fails. For Oyster there would have to be a Warn list (top up before next journey) transmitted after each journey calculation also. To make changes easier for those without a built in SatNav, perhaps designated interchange stops should be provided which can include signage to the other stops giving buses and directions? Announcements on buses could be made to change here for routes A, B and C…. Philip: “In Berlin a Kurzstrecke-ticket (Kurzstreckenfahrschein) for the public transport system is available at about half the price of the standard 2-hour ticket, but only entitles you to travel three stops by U-Bahn or S-Bahn, or six stops by bus or tram (here with no changing allowed). “ (from http://berlin.barwick.de/blog/german/word-of-the-day/kurzstrecke.html) Other similar set-ups may be available. I’ve never understood why you need to present your Oyster to a machine to get a refund applied. Surely the master balance is stored centrally, with a copy on the card? I’ve seen references to getting refunds when you next use your card, with a 2 week cutoff, that would put casual users out of pocket. For the forseeable future I’ll continue using in order: travelcards (to get the network railcard discount), oyster (to avoid my bank statement being cluttered with piddly transactions), contactless (when I’ve lost/forgotten the others). So I can see them needing 3 systems for a long time to come. I foresee the remaining paper product being replaced with disposable smartcards (as has happened in the Netherlands and the TfL One Day Bus & Tram Pass). Southern Heights has it spot on: many, many bus routes can now be removed: to get to the places they served, you will have to change busses. In compensation, the remaining ones run more frequently. You can get to more destinations after changing busses, I suspect this is where the revenue increase comes from. John B: It is the centrally-stored data which is the copy: the important balance is the one on the card – that is the one which controls whether or not a gate will let you through or a bus will let you ride. The refund has to be delivered to the card to be any use, and that refund can only be done in a limited time-frame and at a specified place because of system limitations. If your card is registered, and if the refund is the outcome of a phone call, then an alternative method is available (though not widely known): a refund can be made in cash to your bank account. You can get the existence of your network railcard registered on your Oyster card, which will then mean you get the discount when you use it. And I think the discounted daily cap rate is cheaper than a paper travelcard. A paper travelcard is still required, though, if you want to swan about taking photos and stuff without having to go in and out of every station you stop at. Changing buses is deeply unpopular with some people, though others do not mind. Yes there will be some journeys (currently one bus) which will be split in response to the hopper innovation, but as has been said already, not all that many, in the short term at least. Philip 10:04 – In Valencia the single ride cash paper ticket costs €1.50, while the unlimited number of bus trips within a one hour period costs €0.75 using the smartcard. I believe this pricing is designed to deter cash transactions. As some have implied above, once the system is extended to unlimited trips starting within an hour of the first paid trip, the scope for service rationalisation is too tempting to ignore. Valencia has had this system for 5 years and is just embarking on an overhaul that will see all suburban trips terminating at six interchanges at various points at the edge of the central core, while passengers change at no cost to smaller buses that will cross the centre between these interchanges. The plan has not been implemented yet, but the stated aim is to avoid a large number of buses sat down in traffic jams in the city centre, which is the largest city centre in Europe that still has a medieval street plan. The idea is that by turning round at the edge of the centre, greater frequencies can be achieved on suburban routes with the same number of staff and vehicles. Network Railcard discounts are not available on Oyster (due to the £13 weekday minimum fare). (Two Together and Friends & Family Railcard discounts are not available either as they require at least 2 passengers for the discount). @Malcolm using the card as the master is poor system design, and while you can put other railcards on oyster, you can’t with a network card suposedly because of its £13 M-F minimum, again bad design, as it is only one more rule on top of what must be dozens of dozens. John B: It may be poor system design, but as I understand it there was (at least at first) no choice because continuous and ultra-reliable connection to the central database was not considered achievable – particularly for buses. Whether that might be achievable now may be a different question, but the volume of chaos which could be caused by even a few minutes London-wide system outage doesn’t really bear thinking about. Sorry about my misleading information about the network railcard. There are indeed dozens and dozens of rules about Oyster (most but not all also applying to contactless), and in an ideal world it would be a lot simpler. However, it’s easy to say “Keep it simple” but not quite so easy to achieve. A major obstacle to “retiring Oyster” is children and others who cannot have bank accounts. @Malcolm I don’t want it kept simple, I want it kept flexible, so new rules can be introduced. And the design could have been done so that refunds were applied to the server copy, with sync to the card copy at gates where they data connections were known to be good, and the user could be paused for a little longer. Another reason some avoid Contactless is they want anonymity, both from the state, and from their partner, for good reasons. The only reason I use contactless now is because I get 5% back from TSB. This ends in December and it will be back to Oyster for me then. There are also occasional offers with other cards . I hope the “new” Oyster backend will not entail the removal of 7-day and monthly+ tickets starting on any day. Not storing and updating the balance on the card immediately would also prevent people (mainly tourists I suppose) from getting refunds of their oysters at ticket machines. John B – The beauty of Oyster when it was implemented in 2003 was the robustness of the system as a whole, back when many households were still using dial-up modems and high-speed connectivity to every gate-line wasn’t feesible on cost grounds. Reliable, high-speed mobile data to every on-board bus was mere fantasy. We live in a different age now and Oyster is catching up, but we’ve had very few “Oyster Outages” as a result of the original robust design, ie no central database to fail or lose connectivity to. The most recent outage was caused by a software update that went bad (at least it was implemented during a quieter period). One only needs to look at regular airline IT outages for an example of how hard it is to keep centralised databases and all of their components “always on”, whilst also “always changing”. I think there will be a revenue cost to TfL, but that’s something Sadiq is perfectly entitled to choose as Mayor. @Ben.Again – that raises the interesting question as to whether the existing TfL Journey Planner offered both through and with-a-change options for bus journeys, and if not, whether it will do so in the future. A season-ticket holder will presumably not be affected by the “hopper” ticket? Since one such will already have paid for all their travel inside their designated zones already. So, one needs to refer to TfL’s statistics as to the breakdown of bus journeys by PAYG users / contactless /others. And what is that breakdown, at present? Then make judgements as to how much effect this might have. I’m beginning to wonder, somewhat cynically, if the apparently-proposed “decluttering” of bus journeys, discussed above is for the operator’s interests, rather than that of the passengers ?? Greg (but others note too please): We don’t really want too many autobiographical details please. If someone is making a specific point, and they need to explain something about themselves to make the point clearly, well fair enough. But most of us manage most of the time to step back and take a wider view not over-influenced by our own specific circumstances. And if anyone is curious about where you live and what sort of transport you use, well these things have been mentioned quite a bit over the years! @ Alex M – thanks for the defence of the “rubbish” system that has served London very well for nearly 15 years and which has not had multiple catastrophic failures. In fact a system so “rubbish” that politicians across the UK wanted it (or something similar) in their areas. The fact that technology today is in a vastly different place does not invalidate past designs or their efficacy. The alternative is to be always waiting for the “next big development” and actually implementing nothing. Just ask GMPTE who were boasting back in the 1990s how they’d have a fully integrated transport and council services smartcard in use before London did. Even now their smartcard system is not available on the bus network nor on the rail network in Greater Manchester. Meanwhile in London ……. @ Graham H – the TfL journey planner offers “fastest” and “minimum change” and mode selection criteria. Therefore you can faff around with it to give you a preferred choice. I understand the IM people are working on integrating fares info into the journey planning criteria and results so perhaps it may be possible to show routes utilising the Hopper ticket and those which don’t? Anyway I’m one of those sad people who use my knowledge and sometimes a map to work out how to get to places. Hardly ever use the TfL journey planner for trip planning. I trust my own knowledge even if I make “illogical” choices compared to what a computer programme might suggest. London is easily big enough to support a smartcard all of its own (Oyster). Even I have a PAYG version although I don’t live there and don’t commute. The comment in the article about not wanting to have 1hr paper tickets with all the validation gear, as is the case in most continental systems, is quite valid, for London! However, outside the great Metrop things ain’t so easy. There is no universal smartcard, and despite vague promises from the big bus monopolies, contactless is very much a dream. Even local bus networks out here would benefit from a paper 1hr setup, as medium -sized-town bus routes are seriously constrained by the need to get the best usage out of the bus and the driver, and often fail to provide the most useful links for passengers. @ Greg – Travelcard season ticket holders already have the entire bus network as part of their ticket validity regardless of zones held. Therefore they have plenty of flexibility so no need of the Hopper fare. The problem with looking at stats is that they will vary widely across the network and at route level. I doubt many contactless cards are used on the W10 in Enfield or 385 in Chingford whereas we know loads of them are used on the 38 because it serves Victoria Station. Now OK those routes are at polar opposite ends of the spectrum but you need to take a strategic view that is informed by past and current trends and future forecasts for transport demand. The mix of ticket types / payment types fluctuates all the time for a load of perfectly legitimate reasons. We must wait to see what TfL propose about bus routes. The problem is that you have a collision of multiple policy objectives and political imperatives affecting the bus network and its likely development. Obviously TfL will look to save money where they can – they have to. You don’t find £640m stuffed in the mattress. The latest and new format TfL financial reports going to the Board next week show reductions in TfL FTE (full time equivalent) employee numbers already. However “sorting” the bus network is not going to be easy – there will be tens, if not hundreds, of local campaigns to prevent cuts and changes to bus routes. How TfL chooses to handle this remains to be seen. I don’t expect TfL will do route by route consultations. Routes will inevitably be bundled together to force compromise decisions as well as being necessary as “route corridors” inevitably have several routes in them. Lincoln has had to introduce a very basic one. During the rebuilding of its bus station, a temporary one has been built on the other (south) side of the railway station. As it is quite a trek from there to the main shopping area, involving lots of steps to get over the railway, passengers from the south are allowed to change to any bus going north, and are carried gratis on any routes crossing the railway, as far as the nearest stop to the old bus station, on presentation of a valid ticket . I do not see this as a particularly useful either/or distinction. In theory the two are together rather than opposed, as satisfying passengers as far as possible within constraints is TfL’s main objective. (The constraints are mainly financial, but also some others). In other words, if TfL are able to provide the same journeys more cheaply by decluttering, that will actually benefit passengers, because there will be less need for economies elsewhere. It will also disbenefit passengers, perhaps, by requiring some to change buses, but such is the sort of compromise that has to be made all the time in public transport management. @ LBM – yes. As I’d used the term before I didn’t provide an explanation. Sorry. Thanks. I’m more familiar with the term ‘IT’, perhaps mainly the North American term? ww: Nobody used the term “rubbish” in connection with Oyster, at least not on this forum. The nearest we came was a claim that keeping the master version of the data on the cards was “poor system design”, but that was the sort of opinion that can be expressed here, so long as it is done politely. The claim seems to have been fairly well refuted anyway. There are numerous examples of genuinely poor system design around the public sector, so someone who thinks they have observed it should be free to say so. I found the statement from Verma regarding an upcoming TfL App interesting. TfL “doesn’t do” apps, instead they adopted Open Data for journey information, used by all those third party apps. @AlexM TfL has had an app for Cycle Hire for a while. The main advantage over the many other 3rd party apps is that you can also hire bikes and check your balance through it. The problem is that the people unaffected by the Hopper are not necessarily typical of bus users as a whole – season ticket holders will be skewed towards peak hour travel-to-work passengers, and Freedom Pass holders may be less inclined to change buses than average, for reasons of mobility. For this reason TfL’s modelling of how the change will affect passenger behaviour as a whole can only be approximate. TfL’s decision not to produce its own general transport app, but instead to make its data openly available for others to use has turned out to be inspired. It unlocked a level and range of creativity which would have been very hard to achieve in house and has allowed some apps – Citymapper being perhaps the most obvious example – to use TfL data as a springboard for a much richer service (and in their case across an increasing number of cities) using data from a wide range of sources. That was possible not just as a result of TfL’s open mindedness but also because all those services are informational, not transactional – making it much easier for TfL not to have to worry about who was using their data or what they were using it for. Once money and personal information get involved that has to change, at least to a degree. It will be interesting to see if TfL continue their laudable self-restraint and open up payment and customer APIs, or if they develop a transactional app with privileged access to their own data, which would inevitably constrain wider innovation. So, what are the data, then – even given the inevitable difficulties of categorising users, that data is the only clue we & TfL have as to the “best” direction to head in for future use. Worth bearing in mind that many Oyster cards are used by overseas tourists, to the best of my knowledge overseas contactless cards do not work on Oyster readers. Also, back in 2003 a considerable number of hand-held oyster readers were required for use on the remaining Routemaster routes. The technology required to link these to a back office would have been complex. I suspect that the problem of reliable data connections between buses and a central database will still be an issue even given the near universality of at least 3G. Worth pointing out that some older gatelines were unable to display balances, unsure if this is still the case. Many overseas-issued contactless cards do work with Oyster readers – see https://tfl.gov.uk/fares-and-payments/contactless/what-are-contactless-payment-cards#outside. @JimS. The vast majority of overseas issued contactless cards will work on oyster readers. There are some cards issued in USA and Netherlands that use alternative protocols and don’t. TfL private wifi @ heavily used bus stops might be worth considering, as card-related network traffic will be heaviest there. @JimS, IslandDweller My own very small sample size (me and one other Canuck) of Canadian contactless cards is only 75% success. So we stick with Oyster eh. @ Jim S – buses are already in almost constant contact via I-Bus and also via the radio system. It is my understanding that transaction data is regularly polled from buses and updated card “warn” lists are sent to buses. That was an essential upgrade prior to contactless card acceptance I believe. People who use contactless cards can see their info in the online accounts updated throughout the day – well that’s what I’ve been told happens. The actual daily charge is calculated overnight. Even on steam powered Oyster the PAYG balance updates quickly but the journey info only appears next day. We only have 5 crew buses in operation in London now and to procure a small batch of brand new hand held readers with Oyster and CPC transactional capability is presumably considered too expensive hence why CPCs are not accepted on the Heritage 15. All types of gate have always been able to display card balances. The main gripe is that the earliest gates have the display on the flat top of the gate and it can be difficult to read. All generations of electric gate have the more flexible POD display unit which shows the balance there. It is easier to read as it is in line of sight as you walk through the gate. It was not cost effective to replace thousands and thousands of old style gate pods with new units. IIRC there may even have been technical reasons too but that’s really scraping the depths of my memories. look at page 133 of the pdf for the last update on the Future Ticketing project (FTP). Phase 1 of the ticketing app is due 22 Dec 2016. Weekly capping on Oyster is targeted for exactly 1 year later. I expect the reality will be that these new features are turned on with the new fares revision (usually a few days later than these target dates) or shortly afterwards. Unfortunately the Q1 2016/17 investment report has not materialised in next week’s Board paper so I can’t see if the FTP is still being reported or not. I assume the report is being redesigned as the other reports have been. Did you get charged either a transaction or currency fee (or both)? My understanding is that these can be more than the value of a low price journey. I went on a bus trip yesterday, a not uncommon occurrence, and although I quickly hit the daily bus cap, as usual, almost each alternate journey throughout the day, both before and after the daily cap was reached, got registered as a hopper “free continuation journey”…. Picture when he comes to grab the glory of how successful his hopper fare is by telling us all how many have taken advantage of it, whether they actually did or not!! As a few people have mentioned, the unfortunate side of the new hopper fare is that TFL WILL now use it as justification to cut links and force people to change buses in future where they didn’t have to before…. I don’t want to have to change buses unnecessarily and be forced to hang around at change locations where sometimes I’d rather not be hanging around, in dodgy areas for example, and this is a serious step backwards which looks likely to be taken advantage of by the accountants who will force through shorter routes and curtailed connections..
As an occasional visitor to London from Scotland and a Senior Railcard holder, I will only use an Oyster as I have been told by many sources that discount railcards cannot be associated with contactless bank cards. Oyster is terrific for those of us who do not wish to be waving our debit cards or phones around in crowded stations or on buses and to keep our travel expenditure separate from other payments. I will be very disappointed if everything goes contactless or smart phone only. So maybe we should “fear the beeper” after all ?? Yes it does. I’ve been using contactless for a couple of years. Confirm that intra day updates are surprisingly rapid – even for bus journeys. Which supports the view that buses are “talking” to the central database frequently. @Man of Kent. If a holder of a foreign issued contactless card is hit with a fee, that’s charged by the issuing bank, not tfl. Typically these fees are a small percentage – example Amex charges me 3% for non GBP transactions. A few shonky banks charge a flat fee, but that’s not usual. People tend to get very hot under the collar about this percentage fee. Forgetting that for most of us, if we pay cash we buy currency at the tourist rate (typically poor) whereas the card transaction gets the interbank rate (much narrower spread). So the 3% fee isn’t necessarily the “extra cost” that it might appear. Big up vote for Bob. I believe there is a broader demographic, including London residents & those in middle rather than later years (however one might like to define those deliberately broad terms) that appreciates the “single purpose” nature of Oyster & its superior functionality in a transport context. The right sized ring spanner is a better tool than an adjustable spanner. I would add that 16-17 cards are a great way to set tomorrow’s Londoners up with a good working knowledge of the benefits. If someone was using two buses for their outward journey and two back, the cost of implementing Hopper is only £1.50 not £3.00 because of the daily cap. Put another way, nobody can benefit more than £1.50 per day from Hopper ie nobody gets more than one new free journey per day. Using the figures in the article that means just short of 30m new free journeys (at one per passenger) per year, or under 100,000 people per day benefitting. The figures also suggest about 30,000 new paying journeys per day, attracted by the new freedom. That certainly doesn’t seem a challenging target and it’s entirely possible that the cost of Hopper might be smaller than expected, although the true cost will never be known because it will be impossible to assess the growth in paying journeys which is attributable to Hopper. There has been talk of rationalising bus routes but the other simplification we should expect is that if buses on a route bunch it will now be even easier to turn one around short of the final destination because most passengers can transfer to the following bus at no cost. Oddly I suspect when everything washes through the system, Hopper might turn out to be a blessing for TfL. @ Bob – for what it is worth  there are multiple public commitments from the last Mayor and senior TfL people that Oyster will not be scrapped. It is quite clear that for the reasons you cite, and many others, that having a separate transport card is something that people value or just simply need. @ Kate – the Mayor has already tweeted that 1 million “Hopper” journeys had been achieved by 15 September – the 1 millionth apparently on route 436. Quite what that means in terms of overall journeys, the individuals involved and in comparison to a previous period or last September is anyone’s guess. If we take it at face value either the estimates are ridiculously wrong or people are “going mad” trying it out or something else is happening. It is worth just noting for the record that TfL have, in their London Travel Reports, split out the “drivers” of increased demand for bus travel. I would expect there will be demands from politicians for research as to what is happening to bus travel as a result of the Hopper ticket (and other factors). Quite how much time has to pass in order to provide a reasonably robust data sample is open to debate but I’d expect at least 1 year and probably 2 before any clear trends or effects could be determined with confidence. Of course this won’t stop the raw statistics being bandied about in the short term. For all those predicting the end of “transfer tickets” and people being required to “hop” then that should not happen if a bus is curtailed by I-Bus control. There will always be people who are on the second leg of a “Hopper” journey who expected the second bus to get them to their destination. Why should they be forced to pay again if they boarded the bus in the expectation it would get them to their destination? There are other scenarios that apply equally where people should not be required or told to tap a second time if it means they will lose the benefit of the discount through no fault of their own. Therefore, IMO, the existence of the Hopper should absolutely NOT become some sort of excuse for more curtailments of bus trips. It’s bad enough already – we don’t need it getting any worse. Buses are now so slowly scheduled to try to cope with traffic variability that I’m expecting to see Brian the Snail  overtake buses I’m on. we all know what can happen to public commitments. Kate: That is an interesting insight – I had not grasped that no-one can benefit more than once per day. It may have been obvious to some people, but probably not all. I did at first think, what about people who also use the train during the same day? But this makes no difference – either they are capped anyway at some different rate, or if not – perhaps because they only make one cheapish train journey, then the bus cap will still be applied under Oyster’s cunning “use the best-fitting cap” rule. I wouldn’t mind betting that anyone with a travel card who just happens to have made two bus journeys within an hour will also probably have been sneakily added into the total too!! @ Mackay – actually I have not seen nor did I refer to “1 million people” using the Hopper facility. The tweet from the Mayor says 1 million Hopper journeys and clearly that is extremely unlikely to equate to 1 million people in such a short time period. Clearly you aren’t a fan of the Hopper ticket but I think you are stretching your outrage a bit too far. I cannot see how or why TfL would include Travelcard (or Bus & Tram Pass) users in the Hopper ticket totals. That would be a lie and it would be found out soon enough. Clearly the system records the second zero value transaction separately and that will be polled from buses to the central systems. Hopper ticket journeys are apparently flagged in people’s online accounts and TfL will have very powerful data interrogation software to keep track of things. If interchange becomes a more regular activity due to the Hopper fare, then it would be sensible of TfL to try to upgrade the most regularly used interchange sites. The simplest action would be to rationalise the bus-stops so that a passenger can stay where they are rather than shifting up and down a road to continue their journey. The next action would be to upgrade shelters and lighting at those stops a bit like we all hope that all rail interchanges should be! There may well be a conflict here. For instance I know that there is one stop at Brixton which will give me both routes that go by Kings College Hospital, but if I was travelling to Brixton by bus from the south (rather than by Tube from the north), would it be possible for my interchange to be a one-stop exercise? Anyway, there probably is some scope for making more interchanges more convenient/comfortable. Let’s hope TfL can do it. Making interchanges more convenient. There may be the odd exception, but I doubt if there is much improvement that can be made here. Multiple stops at one location (on the same side of the road) are only used where the number of buses per hour exceeds a threshold, such that a single stop would not cope – that is buses would have to queue to use it. The assignment to different stops of different routes is already done on a geographical basis, to minimise the number of destinations requiring passengers to hover between stops. These considerations will probably prevent any re-assignment which may be useful to interchanging passengers. But anyway, the distance you may need to walk from stop A to stop C, say, is quite negligible compared to the distance you probably already walked from your real origin point to the nearest getting-on bus stop, or the distance you will walk after getting off your final bus. Graham: Well no, I don’t think I have, well not in the last 10 years or so anyway. But if you mean that they are arranged otherwise than by my logical explanation of how I think bus stops are arranged (and my other observations do confirm that in a good number of places, at least, my description holds), then maybe some re-organisation is called for at Oxford Circus. But if so, then that re-organisation would have been called for regardless of hopper issues. Or something. Of course, if fandroid was calling for actual re-routing of buses to aid interchange, that would be different, I suppose. But I thought he was just referring to leaving the routes where they are, but swapping the tiles around among closely-adjacent bus stops. @ Malcolm / Fandroid – one of the things that has steadily worsened is the convenience of bus to bus interchange especially in Zone 1. Stops were rejigged for bendy buses. They have been rejigged again due to temporary works. They have been rejigged *again* because of permanent highway changes and I expect they’ll change *yet* again as Crossrail and major LU stn works complete, more cycle superhighways are built and TCR is made 2 way. There is absolutely no consistency of practice in the way you describe. As Graham H says places like Oxford Circus are a nightmare now. Victoria is also pretty dreadful. You can have awkward walks amongst very large crowds of people at busy times to reach a stop and you can easily miss the bus you were hoping to catch. Then you have the exact opposite at places like the top end of Park Lane where all routes are squashed on to a single stop meaning you have to be extremely alert as to what buses are in the queue / making a mad dash to overtake it and hope no one spots them. You may not have to walk between stops but you do have to be prepared to run up and down the pavement and wave like a loony to make sure the bus you want stops. Many routes are obviously very frequent there but that doesn’t mean you can afford to or should miss multiple buses because stop management is chaotic. I fully accept there are no simple answers given the range of factors in play but there are real issues that need fixing. It’s bad enough if you’re mobile and your eyesight is OK but for those who are in wheelchairs, laden with shopping or kids or simply not too nimble on their pins it must be much, much worse. Given TfL have had years to try and fix some of these places and haven’t then I don’t expect people changing buses because of the Hopper ticket to make any difference. I suspect in some instances TfL are unable to do anything because of local authority or land ownership issues. On the wider point of interchange we’ve had a lot of fancy brochures and fine words from TfL over many years but not really very much large scale investment. There have been some exceptions like Tottenham Hale but even that’s overblown in terms of the huge roof canopy structure and too small in terms of stand space. No room for more routes to stand there. We also face the prospect of Vauxhall Bus Station – possibly one of the best interchanges in inner London – being lost because of the planned gyratory works and the insatiable demand to build more and more towers in the area. Despite a large outcry to try to save the bus station it seems likely it will be flattened with stops scattered around the area meaning longer and more dangerous interchange routes. That doesn’t strike me as good policy on public transport interchange. Junction remodelling has tended to push bus stops further from the actual junctions, making interchange between intersecting routes longer and longer. Even in the 1970s, when my regular commute involved changing at Hammerswith between a 9 and a 266, I found the easiest way to do it was to take a 27 the quarter mile between their respective termini! The other point about Vauxhall, of course it its immediate proximity to the station [ Just like Walthamstow ] which makes both of them so convenient. To destroy that valuable interconnectivity “between modes” strikes me as barmy, but hey it’s for “Property Development” so the rest of us can go hang …. @Malcolm -I understand the logic that has driven the dispersal of stops at busy junctions but as that leads to the sort of nonsenses we now face with bus/bus and bus/tube interchange at key points, maybe the underlying principles need questioning.. At Oxford Circus, for example, if you leave the tube looking, for, say a bus to the Strand, you are faced either with a walk half way towards Bond Street tube (where you begin to encounter the refugee stops spreading from, err Bond Street), or to walk as far as Hamleys down Regent Street. Same goes for the stop spacing at Piccadilly, or the stopping arrangements round the Selfridges en of Oxford Dtreet. In practice, the whole of Oxford Street is one long procession of stops (for different routes) about every 100-200m or so. The reading of my comment as a panglossian “All is well with bus stops” (which perhaps I did sort of imply) has been comprehensively demolished. The alternative reading (which I hastily tried to retreat into) of “Hopper introduction is unlikely to prompt much improvement” may still remain. Or maybe not – even if hoppers are only a pretext, it could be that a such pretext may help provoke some much-needed reform. I suspect that bus stations are in global decline. Many reasons, but overinflated land values must come into it somewhere. But the daft bit here is that a roadside bus stop apparently costs £0.00 in land-acquisition costs, because the road space (for the bus) and the pavement space (for waiting passengers) are “there anyway”. But safety might also be an issue – do bus stations actually cause accidents, or do they just concentrate accidents (which were going to happen anyway) in one convenient place? (Or possibly neither of the above). @ Malcolm – collision casualty information for London are available from the link below. Taking a look at Hammersmith as the one I’m most familiar with, there are a large number of injuries on the gyratory but I couldn’t see any within the bus station itself. This would need more analysis to understand if the bus station actually is a lot safer than the gyratory (I think it most probably is!) or if the apparent absence of injuries within the bus station is something to do with how injuries are reported. I agree with the concerns about (lack of) easy interchange between bus routes at many key locations, if we are looking towards a future with fewer multi-direction bus corridors and more reliance on useful interchanges. The location of stops, their local signage (and availability of prior knowledge about options for interchange and which direction to head to the next stop) are all taken for granted on the rail/tube systems, and publicised and signposted explicitly. In terms of advance route planning, spider maps work well if it is assumed that there will generally be a through bus to your destination. They will be less useful if various corridors vanish from such maps because an interchange somewhere along another route were required in the future. If “contactless” is so much more modern and flexible than “Oyster”, then why are they keeping the latter around at all? Instead, issue cards that have the usual blue Oyster branding when observed in visible light, but at radio frequencies act like a “contactless” card backed by an anonymous account at “TfL Bank”, limited to be used only for bus/train/tram tickets. Retire the old Oyster-only back end and instead contract the technical running of “TfL Bank” out to a commercial bank who already have the technical expertise to run such a system (following a public tender). Hmm, upon further thought that would require the entire network of top-up machines to be replaced or heavily reprogrammed. Never mind then. The same card can include all three uses. A bank might be interested in providing number 3) but they are unlikely to have the skills or processes in place to administer 1) and 2). @Graham H: In practice, the whole of Oxford Street is one long procession of stops (for different routes) about every 100-200m or so. In principle if you reduce the number of routes on Oxford St and up the frequency of each to compensate then you would need fewer stops. The problem then becomes shortening dwell times at each stop enough so that the stops don’t get clogged with multiple vehicles at once from each route. Perhaps some kind of longer vehicle with doors all the way down the side and boarding encouraged from all of them? Plus platforms to give truly level boarding. You could even incorporate some kind of guidance device to ensure a perfect alignment between vehicle and platform… I’d better stop now. Henning Makholm: Maybe you weren’t being all that serious, but I think you have missed a few crucial differences between Oyster and contactless. One of these is that with contactless, the banks do all the credit-worthiness checking and chasing up debts. You can be among the most financially irresponsible people in the world, and still buy an Oyster if you happen to have enough cash to hand at the right moment. Oyster may be older technology, but it is still more advanced in one particular respect, in that it can detect “running out of credit”, and prevent further travel immediately. The contactless scheme – by design – cannot do this until overnight. Fine for the credit-worthy segment, not so fine for the rest. (Of course, this approach of “reconcile everything daily” does produce more flexibility, but at a price). @IanJ – Just so. Perhaps you had in mind the Tracked Rail Assisted Modular system? — indeed, for which it is impossible to find a District for Engineering, Parking Or Training. – discounts allied to Railcards. – various special passes for engineers and technical staff working on LU. – Police free travel entitlement. I understand why most of the above will not have come into the purview of the LR readership as they won’t be in scope of those products. These products can’t all be ported off into a “payment card” format nor ITSO (Freedom Passes have both ITSO and Oyster system compatibility). Other than establishing and recording and maintaining records of entitlement many of the above facilities don’t require the processing of payments nor maintenance of cash balances. Therefore there is less system cost involved for TfL because there aren’t station or shop level payment transactions nor charges whizzing round the system just records of entry and exit. Obviously those remarks *don’t* apply for people using PAYG and a linked concessionary product. You can see why TfL have the preference for Contactless as it offloads an awful lot of cost. Until the time comes when all the above concessions are dumped and withdrawn and everyone has to pay full fare for everything then there remains a need for something alongside Contactless. I also agree with you that I can’t see a bank wanting to get involved in administering railcard entitlements or Zip cards or dealing with the police over special cards for officers. Furthermore I can’t see the police forces being enamoured with dealing with a commercial third party over a travel concession. I expect TfL are far more “trusted” to handle the requisite information correctly. @ J Roberts – Spider Maps only work well for departures from a given local area. They don’t list the stops that buses terminating in that area will use as they arrive. And yes, before the “correction team” get typing, I know the maps are designed only for journeys away from the area they are for. However in the context of making connections between routes, especially if routes are restructured, there may well be merit in showing the stops used by routes that terminate. Your point about future interchange points possibly being “off map” compared to the present network raises other issues if large scale restructuring is undertaken. However we do have that problem today. If you are West Ealing and wanting to get to West Hendon by bus you’ve just lost your direct daytime link and I bet the Spider Map doesn’t say “take the 483 and change to the 83 between Alperton Stn and Wembley Stadium”. Contactless is, as you say, calculated daily at 4.30am, but there is no reason why Oyster on back office could not be calculated shortly after each journey. This would still keep the processing load from the gatelines while minimising the revenue risk. Matthew Dickinson: Yes, that might help. But that would move it away from the current contactless design. Probably a bit irrelevant, as bigger and better arguments against Henning’s simple ruse have already been found by others (including Henning himself). What is probably needed is something which might be called “New Oyster” which would include all the best features of current Oyster and current contactless systems. This is probably best designed by experts within TfL (probably working on it right now), rather than by a London Reconnections camel-making committee. It would be in keeping with the title of this article if the design were entrusted to a New Oyster Cult! What would be lovely would be for TfL to release a bit more info on the direction they are headed in and perhaps an outline system overview and migration strategy? I wouldn’t expect every last detail to be released but a “flavour” would be good. Then we wouldn’t be designing a camel we’d be able to have a slightly more focussed discussion. at the Oyster “caravan” at the Regent St TfL event a couple of months ago there was no acknowledgement whatsoever of the work done prior to about 1999/2000. I found that very disappointing. For the avoidance of doubt, the camel-making committee to which I referred was the one which seemed to be holding sessions in this very comment section. The presence therein of one or more persons who have ample relevant knowledge and experience and skill is no guarantee (to my way of thinking) that the end product is going to finish up with race-horse elegance. And anyway a camel is an ideal creature for the purposes for which it is ideal. Surely no consolation, but the absence of hard-working early pioneers from subsequently-written history books (and indeed caravans) is very widespread, I am afraid. Walthamstow Writer says “What would be lovely would be for TfL to release a bit more info on …”. Yes, that would be lovely. And even lovelier if they were to release it to a passing LR author equipped to understand it and present it suitably. I have absolutely no idea of the likelihood of the above dream coming true, though. Maybe I’m missing something, but I disagree with some of the comments above about Oyster vs Contactless. From the responsibility/trustworthyness point of view you can get negative balances on Oyster. Oyster typically requires the minimum fare for entry and charges the maximum fare from the balance which is part refunded on exit to give the correct fare. I believe it is possible to achieve -£11.80 on Oyster in one edge case. Contactless is a more complicated landscape, but the TfL website also states it sometimes is not able to collect the fares due which is essentially a negative balance. In either case though you can’t use the card for free again on TfL, so the effort required to obtain the cards and/or the Oyster deposit means very few people are likely to actively exploit it. I’d be surprised if TfL didn’t have statistics of how much revenue is lost through such methods. Contactless cards while having some storage (for example to be able to verify PINs offline) cannot be used by TfL to keep travelcards. TfL could still store contactless travelcards/discounts in the backend and associate with a card number which is then used to calculate the correct fare. The downside is that barriers/readers can’t know it is a card with an associated discount to beep differently or allow manual verification that the holder is entitled to that discount. It should also be technically possible to have the data mastered on the backend without replacing all Oyster cards. This would be a huge amount of re-engineering and maybe unlikely to happen, but an Oyster card could become just an identifying number. I agree with others that any new/revised Oyster system depends so much on the requirements/priorities that you need to get them resolved first to come up with a workable design. John B: Good gracious. All the problems you mention sound to me like tiny blemishes, which hardly dent the remarkable achievement and reliability which the Oyster+contactless ticketing system shows. It may be possible to achieve large negative balances on Oyster in SET land, but in TfL land generally the barriers won’t let you out. However, since the demise of OEPs, TfL can’t know how much revenue is lost. TfL also makes a lot of money from maximum cash fares that people don’t bother to correct. Your idea sounds astonishingly similar to Sydney’s Opal card which initially had no means of topping up apart from online, and no way to check your balance apart from going online or starting a journey; a few months later it became possible to top up (but not buy a card) at local shops, and only 3 years after it was introduced did it become possible to check your balance an top up with cash at (most) stations without going to a private business. The history of and politics of the Opal card is complex and controversial. (And so is Sydney’s fare structure). However, currently single-trip Opal cards are available, and can be bought with cash, including from bus drivers. * How would you check balance? You could do this via an app (as with contactless), but perhaps also via ATM machines and ticket machines at stations incorporating ATM-like functionality? * Photo verification. Presumably this could just be printed on the card by the bank? Could even avoid printing the age/entitlement on the card, allowing continued use eg for teenagers who become adults. * Verification by ticket inspectors. They could use online handheld machines (I’m presuming their current gizmos are actually offline, and don’t actually verify contactless cards in real time?). Would be interested in whether there are any other issues I’ve not thought of? Seems to me that moving to this kind of system is inevitable, and advantageous too. The principle advantage being the eventual abolition of all pre-purchased tickets, reducing dwell times at stations. Incidentally, given the recent history of freezing or reducing the daily fare cap, but allowing weekly/monthly/annual travecards to rise with inflation (partly in order to be farer to part-time workers), I wonder how many years it’d take until the travelcards no longer work out cheaper than the daily fare caps? @Frankie Roberto – “* Assuming the new Oyster cards are effectively anonymous prepaid bank debit cards, would you also be able to use them in shops? On the one hand, why not?” I understand that the Hong Kong equivalent can be used as an e-purse in this way. There are awkward problems about who owns the balance of cash on each card and whether TfL has the power to become, effectively, a bank engaged in financial services generally, but no doubt these are solvable with patience and maybe legislation. Eh? A couple of non-sequiturs here. Pre-purchased tickets could be abolished at a stroke now, by just requiring everyone to use oyster or contactless (as is already the case on buses). This is probably not about to happen, for various political and public relations reasons, and because of things like travelling to a destination outside the oyster zone. But altering the oyster system to make it more like contactless would not help such abolition at all. But in any case dwell time at stations (that is, how long the train has to be in the platform) is completely unaffected by what sort of ticket the passengers are using. Now bus dwell time at stops, that would be a different matter (but again unaffected by whether it is Oyster or contactless). Where to begin? Graham H is quite correct about the concept of some sort of “TfL Bank”. We couldn’t do it when London Transport was in existence due to legal issues – we did consider the concept of the Oyster card cash balance having wider purchasing power. I really can’t see anyone agreeing to a bank being run out of City Hall nor any government granting parliamentary time for the legislation. The risks and regulatory burden are enormous as is the potential for political interference. Hong Kong has a somewhat different approach but even there the banks were extremely wary about the Octopus Card. Obviously it’s an established facility now but I suspect they still don’t like it. I would also caution about moves to “quietly” kill off Travelcard. I suspect there is a non declared policy to progressively weaken its position in the market but not yet an overt move to remove the product. I detect a slow process of having products that make you pay for every use and in some cases you get a form of refund for hitting a cap. At some point people will wake up and go “hang on a minute why are you making me pay for every single journey rather than offering me an attractive unlimited ride ticket that I used to have?”. Clearly the issue here is to try to get some revenue for every trip by tweaking caps, marginal fares and product types. I would just point out that the Mayor’s fare freeze does nothing to stop changes to the rules controlling time periods, zone combinations or other commercial clevernesses that are in TfL’s (and TOC’s) scope for change. You can leave fares unchanged forever but if you can only use a fare for a 30 minute slot in a day then you’re charging people more but hey the fares were never increased! It’s all semantics I know but there is years of evidence of these “levers” being pulled to change the revenue take. I predict this will be something to keep a close eye on as the months pass and the financial pressures get ever tighter. I simply cannot see the point in moving everyone to some form of “debit card”. If people have free travel concessions why force them on to a completely ridiculous ticket medium? All it will do is raise hackles that those concessions will be lost at a future time. Does anyone really want to take on Greater London’s pensioners over the Freedom Pass? It’ll make the battle over the Poll Tax look like a picnic. The system has always recognised, even when there were only magnetic tickets in use, a difference between encoded public tickets and those encoded as a “pass” or a “permit” depending on use. That was designed in right from the start because such products and the controls associated with them were long established. I see nothing emerging that requires that system structure to be abandoned. @Malcolm by dwell time at stations, I meant at the ticket hall level (e.g. people queuing up to use ticket machines). Abolishing pre-paid weekly travelcards can’t happen until the new Oyster system supports Mon-Sun capping. (There’s still the difference that pre-purchased weekly travelcards can start on any day, but it’d be a bit mad for the new Oyster cards to support both Mon-Sun capping AND pre-bought weeklies). Abolishing Monthly & Annual travelcards either needs contactless & new Oyster to support month/year capping, or perhaps for the daily/weekly caps to become cheaper anyway. Why do all this? I think the key quote is from the article: “The important thing is that [the customer] does not have to make that decision in advance”. That’s not currently completely true, as it can be advantageous to buy a monthly or annual travelcards in advance. But getting to the point in the future where the only model is PAYG (with caps) is not only a customer experience benefit, but also reduces the demand on ticket machines — especially if cards are either connected with a bank (contactless) or can be topped up online/via an app/elsewhere (Oyster). Seasons on Contactless is part of the Future Ticketing Programme. Which will, presumably contain, within its operating platform, the ability to carry conventional Season Tickets. PAYG &/or contactless only is (IMHO) a non-starter – customer resisitance being the reason. Pre-paid travelcards mean the operator has the cash up front. Good for cashflow and if interest rates go back up, a little earner. Giving that up for a capped fare system wouldn’t seem attractive to me were I an operator. There are also people who buy an annual ticket expecting to do the same journey for a year but whose circumstances change after 10 months. At that point it’s not really worth doing much about it. If fares were capped each month for 12 months then such people would be better off and again operators would be worse off. Someone somewhere would do some modelling and the operators will definitely not want to abandon pre-paid travelcards and season tickets. @ FR – You seem to be deliberately ignoring the fact that Travelcards can’t be abolished because they are a protected ticket and governed by the Travelcard Agreement. There are also issues that only offering Mon-Sun capping will disadvantage some people who may well prefer to have a Travelcard start on another day of the week as it’d offer better VFM for their particular travel needs. Also are you going to scrap the discounts offered on monthly and annual tickets? Can’t see that going down well with the public either. I think we also need to step back from the guff that people are somehow incapable of taking reasonable decisions about their travels and the associated costs. If you are wallowing in cash then by all means allow TfL to calculate everything for you and have the money removed from your bank account. I don’t know how many times I have to say this – not everyone is able to have such generous finances. They need independent control of their travel costs and it is incumbent on TfL to provide a suitable facility. I have also not seem any such public policy from TfL or the Mayor that the future is PAYG only. While it is lovely to speculate I think we need to keep our feet on the ground about what is politically possible, what is likely to be acceptable to passengers and not just swallow sweeping statements about “customer convenience” as if they are the sole option for the future. I can recall the outraged headlines in the Evening Standard in the 1990s when some LT senior managers went to Hong Kong to see the then new Octopus system. The headlines were along the lines of “LT to charge people for every journey as they hatch secret plans to scrap the popular Travelcard”. That resulted in a very sharp public reaction and a complete denial from London Transport. Anyone think that it wouldn’t be possible to whip up a similar campaign these days? The card migration is to eliminate the remaining Mifare Classic cards (there are about 3 million in circulation, including some found when clearing out ticket offices), and replace them with the current Mifare Desfire cards. Effectively the last two months or so are free on an annual ticket, so if your circumstances change after ten months there is little point in trading it in. Is there any reason the fares couldn’t also have an annual cap? There has been speculation on other posts that TfL do in the long term want to get rid of the monthly/annual Travelcard (the price as opposed to convenience saving when you move from monthly to annual is relatively small, the big saving jump is from weekly to monthly) as a means of increasing fare income and reducing ticket administration costs. It would probably be spun to the public that monthly and annual Travelcard holders are all well-paid commuters who can afford to pay more and don’t deserve a discount. Is “TRU” normally an internal Tfl/LUL journal only, not available to the public, even on-line? Good luck with that one … Season tickets have been around for a very long time now …. Somehow, I can’t see it working. Do people actually buy annual seasons via TfL? The rail companies offer much better deals. For instance SWT give you 6 free tickets to anywhere on the network even if you just buy a Zones 1 & 2 Travelcard. Regardless of where annual travelcards are bought, presumably TfL gets the cash (less a selling commission) soon after. And TfL sets the price, and gets to choose whether they exist. (Except that public opinion might play a role here). Mind you, in these days of low interest rates, getting the cash sooner may not count for much, and has to be set against the substantial number of buyers who time their annual purchase just before the price change (which could in theory be downwards, but pigs might also fly in theory). LBM: T&R in TRU (a fascinating read) stands for Ticketing & Revenue. And I got the “Where am I?” puzzle correct! @ Malcolm – it cannot be (and is not) the case that TfL solely sets Travelcard prices (or the caps they relate to) because they are outside the Mayor’s fares freeze. Prices are jointly set between TfL and the TOCs and I believe there has to be a Secretary of State sign off for each fares revision where prices change. We can’t be too far away from hearing about 2016’s fares unless we are going to have another Treasury / DfT / City Hall farce. Let’s hope not now Mssrs Johnson and Osborne have gone. WW: Of course you are right about the setting of travelcard prices. I was confusing the deciding of the amount (which, as you say, is a process with multiple inputs) with the announcement, which seems to come from TfL and/or the mayor. And of course TfL do not keep all the money either, that gets distributed according to elaborate mechanisms. I suppose what I was getting at was that where the money finishes up does not depend on who the passenger’s financial transaction is with. Buying the thing from SWT does not mean that SWT gets the money (except for the commission, less the cost of any thrown-in perks). I forget the details, but it does seem that the revenue collected by TfL from a Travelcard does depend on the station at which it is issued. A similar arrangement (ORCATS) applies between TOCs, on routes where more than one TOC operates. This was, we were told, the basis of the scam operated by the managers of the LTS franchise in its last days, before the management buy-out that never was (because they were found out less than 72 hours before the franchise was to go live). The story was that they were selling Travelcards at Upminster that had been issued by Fenchurch Street – as Upminster is served by the Underground as well as LTS, TfL would take a smaller cut (and LTS a bigger one) from tickets accounted for as issued at Fenchurch Street. That was the story in the press, but when this subject came up before, Graham H related that the situation was more complicated and the fraud less profitable than had been made out – still enough to disqualify the managers from taking on the franchise though. Hugely sensitive as it was to have been one of the first three to be let. @ Malcolm – obviously the revenue is pooled and the amounts paid to each mode undergoes regular checks and tweaking. There are frequent references in TfL Board reports to under or over provision of modal revenue due to actual Travelcard settlements being out of line with the budget assumptions. I believe there are also different assumed revenue proportions by location and, of course, there are different commission payments depending on who sells what where. I’ll stop there because I am not familiar with how settlement may have changed post Oyster and richer data being available on Travelcard usage within the zonal area. Of course things will be different for magnetic tickets sold by TOCs from outside the zones but with add-ons for the TOC route used. It’s less easy to track how those tickets are used. In terms of fare announcements then, of course, there is not really “a face” that represents the TOCs to the rail passengers. For TfL the Mayor is “the face” and it’s inevitable that the media attention goes there. The TOCs seem extremely reluctant to ever put forward a clued up spokesperson to defend or explain fare rises. I am delibertately ignoring the annual (rude male anotomical word) that we get about “record investment levels, passengers must contribute” blah blah blah. No one believes that anymore and in many cases it’s demonstrably not true. Why insult people’s intelligence? There are plenty of sensible reasons why fares rise and it’s not all to do with investment (maintenace, renewal) spend. The Travelcard Agreement is here. Apportionment may have changed since the agreement was drawn up but the default is that if you buy a season ticket from TfL, they keep more than 90% of the money, but if you buy it from a TOC, they keep 70-80 percent or so. Clued up commuters who wanted to send a protest message to a particular TOC could arrange a campaign to buy Travelcards elsewhere and cause serious revenue loss. Interesting thought. But since almost all TOC are (to a first approximation) equally unpopular, such campaigns would probably neatly cancel each other out. Actually, I suppose that is not quite true. But if everyone bought them from Chiltern, what effect might that have? (I guess a behind the scenes “adjustment” to apportionment adjustment arrangements). TOCs may be equally unpopular, but we can at least take a proprietorial interest in publicly-owned Transport for London. Inspired by the revelations about revenue apportionment arising from the (rather-too-much-Enterprise Rail MBO-that-never-was), for many years I bought my Travelcards at a Zone 1 LU station instead of my local Zone 6 TOC station. Partly for convenience (pop out to renew it at lunchtime rather than queue up in the rush hour and miss my train to work). Sadly, now I have switched to a Point to Point season, I don’t have that choice. Prepare to be surprised, and look at the table on pages 52-57 of the Travelcard Agreement (signed post-privatisation in 1995: maybe the LTS situation helped provoke a rethink of the arrangements?). There is no inner/outer revenue split there, only an in-boundary/out-boundary split, but each TOC has a different percentage apportioned. The exact percentages will have changed since then but I can’t imagine the TOCs have agreed to major revisions downwards. @Malcolm: if everyone bought them from Chiltern, what effect might that have? (I guess a behind the scenes “adjustment” to apportionment adjustment arrangements). Why? Apportionment is based on surveys of actual kilometres travelled, not on ticket sales at any particular location. If you travel mainly on TOC A’s services but buy your Travelcard from TfL instead of your local station, TOC A still loses the great majority of revenue from your ticket. Attempting to fudge this by changing the agreement would require the consent of all the TOCs and TfL. @Christian Schmidt: But the point he was making was not about interchange. It was that with any paper timed ticket system, you need some method of validating or stamping the ticket at the start of the journey to indicate when the timed period of validity started. @IanJ – thanks for reminding me of that – the urgent need to apportion money between the TOCs arose because BR and LT, in the end, were both in the public sector, and we had argued that it wasn’t worth the effort to try and refine the split in revenue. That certainly broke up the BR side of the equation, as was inevitable, but I cannot recall now what happened to the LRT/”All TOC” split. My subsequent dealings with the TOCs suggested that once the Travelcard distribution formula was in place, there was an extreme reluctance to change it because it impacted on every party, not ust the one seeking the change. @Ian J, indeed, and it is generally called ‘purchase’. The fact is that he specifically stated that: “what happens in European cities – you have to go and get the one hour bus ticket and you have to stamp it on the bus so that you show that you now have a one-hour bus ticket” – and this is simply false as in many European cities single or short-time tickets are valid from purchase with no stamping involved – and of course still allow interchange. So the claim that “we have liberated people from all of that faff in London” is highly misleading which makes “I don’t think anyone wants to go back to the faff of having to stamp their ticket” a straw-man argument. The more interesting question is whether TfL is unaware of this or just deliberately misleading. @ C Schmidt – if you’ve ever watched Mr Verma in an interview or Q&A situation he is very fond of throwing in examples of how “super dooper” TfL practice is compared to some other “rudimentary” system in use elsewhere. The reality is that people cope with a wide variety of ticketing technologies and commercial rules on systems around the world. Passengers have a very wide range of needs and preferences and I’ve yet to see anyone define an ideal ticketing system. I don’t see ticket gates going anywhere. If they were ripped out there would be mass fare evasion and a vast increase in missed card validations for those still minded to try and pay. The alternative is to employ vast numbers of staff to inspect tickets and cards and that is simply not going to happen given budgetary and pension fund pressures. There would also be real issues with crowd control management at some stations where gates are a valuable tool. Unless you have some insight into TfL’s costs I don’t know how you can say removal would “might save a bit” given the need to do something else to exercise effective revenue and crowd management. I simply don’t see the european “open station” concept working on a crowded and busy network like London’s. I have no idea what the other biggie, Berlin does, at present, but, it’s a big metro-system, so I expect it to be similar. Given that franchises are bid for, the same argument about revenue split still hold. If franchise A loses some revenue and franchise B gains some revenue, they will make an adjustment through the bidding process for their franchises. TfL have launched a consultation of the withdrawal of route 23 between Aldwych and Liverpool Street and the diversion of route 11 to Bishopsgate instead of Liverpool Street Bus Station. I believe Berlin still has an entirely open system with no ticket gates. I think there is form of “smart” validation for those using mobile phone based ticketing but I’m not certain about that. I’m sure others here can give a better insight. @ Evergreenadam – yes that’s the consultation that says route 23 passengers can change at Aldwych for a 11 or 26 on to Liverpool St and benefit from the Hopper ticket. Regrettably a quick glance at the 23’s timetable shows journeys from the western end of the route to Aldwych taking 60-80 minutes for large parts of weekdays and that’s before any waiting time at Aldwych for a connection and assumes perfect adherence to the timetable (ho ho). Therefore any claims about using the Hopper ticket are invalid for a proportion of route 23 passengers. Some passengers will therefore *have* to pay 2 fares compared to 1 today if TfL force through this change. Seems a very silly mistake to make in a consultation required under the GLA Act. Certainly I didn’t see any evidence of gating during my visit to Berlin in August. I travelled by U-Bahn and S-Bahn as well as bus with a 72 hour paper pass and, after initial validation, the ticket remained in my wallet until my departure with no inspections. Indeed, on the U-Bahn gating would present problems at a number of locations. As an example the nearest station to my hotel was accessed by stairs leading directly from a refuge in the centre of the road to the platform, Holborn tramway style. However, it was interesting to see that the ticket machine on a bus that I took in Potsdam would accept credit cards. Three sets of consultations have been released, two in relation to Liverpool Street and one for Stockley Park. They all mention how the Hopper Fare will mean that travellers are not penalised. They are also all based on swapping around terminals. The Stockley Park consultation starts off by talking about how the Elizabeth Line will mean changes to demand and routes from 2019, yet it closes in November 2016. Perhaps this will become a regular banner against which changes are made. Local papers report 670,000 fare evasions on Berlin buses and trains per year. The loss is estimated at 20m Euros. Instant fines were raised last year from 40 to 60 Euros. Which of course makes advance purchase or bulk-purchase discounts (Carnets) impossible. So you have to have a transaction with a ticket office or ticket machine or bus driver every time you start a journey (and in the case of buses means the driver has to waste time selling tickets, delaying everyone on board). Systems where undated tickets are available for purchase off-vehicle from retailers etc and then get validated on first boarding are better from a dwell time point of view. Barriers are not relevant to London bus ticketing. To put it more simply: the act of purchase-plus-validation on Oyster or contactless is significantly faster than either purchase or validation (let alone both) required on at least the first journey stage in any paper-based system. I have no idea how the banks in Hong Kong feel about Octopus, but they do issue credit cards which also work as Octopus cards, and we still have very limited use of contactless cards – so Octopus continues to be the standard for small payments and I don’t see much evidence of the banks wanting to change that. Cash is still accepted here on buses and the Octopus discount is quite small compared to cash fares on the MTR. @Treasury economist – unfortunately, the process of franchising is such that the bidding cycle for A can be anything up to four years adrift from that for B; meanwhile…. Berlin always used to use squads of inspectors who would periodically flood a station to check tickets. The number of squads employed was determined by how much money they generated. So long as the squads made a net surplus they would look to increase the numbers, but as soon as they made a net loss, the numbers were scaled back. This only applied, I think, to actual revenue gained through penalty fares and didn’t take into account revenue generated by those who were deterred from fare dodging. It’s a shame the losses have now amounted to such a large figure, because the openness of the system is a real advantage. Contactless payment cards are now usable on Stagecoach Buses in Oxfordshire, and the Oxford Tube to Victoria. It is also intended that Reading Buses introduce contactless acceptance this year, which will eventually useful for interchange with Crossrail. Presumably the planned use of contactless cards, on Stagecoach and Reading buses, is “just” as a means of payment (of a fixed price which the user knows when they wave and pay), rather than the (unique?) way they are used in Oysterland (rail) as a means both of working out the fare (from touching in and out) and also of then collecting it? Yes it is for the Stagecoach Oxfordshire scheme. A paper ticket will still be issued. It’s not yet clear for the Reading scheme. @ Malcolm – the Stagecoach scheme looks to be an extra means of payment as you’re still given a ticket and you can use a CPC to top up your Stagecoach Smart smartcard or add a season ticket to it. There is also no concept of wandering around on the buses and a cap being applied later once all the data is collated. You have to say what product you want when you board. Once interesting snippet in all the info is that the on bus readers will detect more than smart card in a wallet and “beep”. However it then goes on to say that a transport specific smartcard (farepaying or concessionary) would be read before a CPC was. So card clash is possible but then there is a hierarchy to differentiate between ITSO format and the banking industry contactless format. I can’t recall if London has something similar even if it’s not stated openly to passengers. There is no detail about the Reading scheme yet so who knows how they will structure it. They have quite a varied ticket product structure to try to cover all the market segments which in some ways makes a “back room” calculation approach potentially quite involved. They also allow online ticket purchase which is cheaper than on the bus – not something that London does at all. Even contactless just as a new means of payment is a small useful step. Using a bus in an unfamiliar British city is a palaver, having to come armed with a bucket of coins. SPT (Glasgow area) has plenty of bus fares that are £n.95 – exact fare only. @IslandDweller – perhaps that 5p is the driver’s tip. Going back to bus consultations, TfL have issued one in my area (Kilburn and West Hampstead) for the 13, 82, 113, 139 and 189. the proposal is to withdraw the 82 route completely, extend the 13 to compensate (which gets a bit of a frequency boost) and to reroute the 13 and 189 away from Oxford Circus to Victoria and Marble Arch respectively (with the 113 plugging the gap, although still one fewer service to Oxford Circus). TfL claiming frequencies will be very similar away from zone 1. Again, much mention to how the ‘hooper’ fare and crossrail are improving services. Showing that sometimes they do listen. Any observations on impact on night bus routes from first night of Jubilee Line night tube operation? According to the oyster-rail website, the system actually allows 70 minutes rather than an hour. @Greg – not that surprising. They are all in the top 20 busiest route list. They are all high frequency services on key radial corridors with multiple interchange points plus a high number of facilities along the route that will drive demand. It’s still very early days and the data as presented really tells you very little in terms of actually journeys and how many are interchanges, how many are actually two short trips in an hour etc etc. The one thing that is interesting is the scale of uptake. Comparing it to the estimates in the Mayoral Decision paper the current number of “uses” is around two and half times greater than the estimate. Obviously usual caveats about “early days” and drawing too many conclusions too early but one wonders how much revenue TfL are losing and what, if any, generative effect on patronage there is. The 183 is the unexpected inclusion in the list. The others are very busy trunk routes that lots of people would change onto and one would expect absolute numbers to be high on those routes. @ Evergeenadam – I’m not that surprised by the 183. It’s patronage has gone up by nearly 3m pass jnys since 2008 and 127% increase since 2000. It’s even put on passengers in the last 2 years when the majority of routes have seen decline. It was 75th busiest route in 2012, it was 39th busiest in 2016. That obviously reflects relative decline on other routes as well as the 183’s growth. It’s had 4 sets of frequency improvements since 2008 and now has a weekend Night Bus service. It’s not quite at the zenith the 83 achieved before its recent dismemberment by TfL but not far behind. The cross NW London links the 183 provides are very important given it links 7 tube / NR services and serves areas with growing populations. There is considerable interchange at places like Hendon, West Hendon, Kingsbury and Harrow. Interesting that uptake is more than expected. Perhaps it has something to do with what I did over the weekend – hopped off to go into a shop or two and get back on again whilst en route. I’d like to think it will be good for business on the sort of local high streets that aren’t big ‘destinations’. This sort of option comes in cheaper than a daily cap or card on a return trip if you ‘hop’ in one direction and go non-hop in the other. I wonder if TfL’s data can distinguish the timing of hops such that would indicate how much of this is happening rather than just changing bus without a stopover. And I still remember the evening a 183 came down our road by mistake in the fog in December 1962 and we guided it back to its route. No relevance to today’s discussion, but oh, the nostalgia. @Jim – an RT from AE, of course! @Graham H – exactly so, and if I add that I also remember the RLHs on the 230, and (just about) the TDs on the 221, then you’ll pin me down with almost GPS-like accuracy. @Jim – and if I matched you with the 209 and 98B, we’d probably find we lived only a few streets away from each other…[We didn’t move to the area when the 221 still ran, although my grandparents lived in Pinner for many years before that – they’d be astonished to find that their bungalow is now a bus timing point – the nearest bus was a slog from Pinner Green then-an interesting example of the way in which the bus network has expanded into minor residential areas]. Mods – sorry for the nostalwallowing. @ Graham H – Woodlands, North Harrow. Pinner Park primary school, Headstone Lane. Likewise apologies to moderators. It’s a small world, I used to cycle down Field End Road on my way to school at St Nicholas. To introduce a transport theme, in my youth it was either cycle or the 225 (as was), the number of pupils coming by car could probably be counted on one hand. I wonder if that would be seen as possible or desirable today. The increase in car numbers generally and the number doing the school run in particular probably makes it less likely that parents would want an 11 year-old to cycle 3 or 4 miles on main roads (even if the 11 year-old wanted to). @KitGreen – Unbelievable. I could name almost every shop in the parade. Last film at the Embassy was Whatever Happened to Baby Jane. Back towards the topic, the 703 Green Line coach in the picture was a good example of how these cross-London services became infeasible as roads became more crowded: it ran once an hour but at busy times could be so late you didn’t know which one you were catching. @Kit Green – thanks for the lovely photo. I remember the Embassy well, though at the tender age of 14, I didn’t usually go on my own. I once used the 703 to travel from school in Harrow to Pinner (the 183 was having a hissy fit that day) and attracted very suspicious looks from the conductor for being willing to pay the 1/9 premium fare (school passes not available, alas). When I first joined the RAF as an Apprentice in 1961, the father of my best friend (and adjacent bed occupant) was a Green Line conductor at High Wycombe (HE). I remember thinking at the time that it must have been a fairly easy job, with few stops and probably relatively well paid as, as I understand it, it was the most senior crews who got the Green Line jobs. I wonder what a BCA would have looked like, even then? @ Nick BXN – TfL gets quite a lot of info from each “touch in” on a bus. It will certainly see each journey start stop, date / time, direction, card ID, route number. The stop IDs automatically update on the ETM as the bus moves along. They can only “guess” as to where people alight although their guess is likely to be accurate for your intermediate “hop”. It’s the ultimate alighting point on all trips that is subject to more variable guesswork. From this April it should be possible to pick up online Oyster purchases within 30 minutes, and without having to nominate a particular station. It will also be possible to pick up purchases on buses. TfL are also planning to introduce an Oyster app to complement this improvement. @ Matt D – there is a Customer Services & Ops Performance Panel paper about implementing the London Travelwatch “ticket office review” recommendations. It makes reference to the new Oyster App and says that is undergoing a customer trial in Feb 2017 (I assume that’s invited customers, not a general thing). There is also reference to a major ticketing system upgrade in May 2017. That aligns with one of the three regular fare revisions a year and will add extra ticket extension options (and other things I assume). Reading Buses have finally launched contactless payment card acceptance. It’s used as a method of payment and tickets are still issued. Stagecoach have extended CPC acceptance to Manchester and the North East. But not a reconnection to London, alas. Early in this thread and comments, it was remarked that Oyster (and now the “contactless” alternative) has a very impressive “up time” record. System outages and failures are impressively infrequent. In one of the other threads I mentioned that my partner always incurs two “incomplete journey” penalty charges when he travels from Peckham Rye to South Bermondsey, even though he taps in/out correctly with his contactless card. Indeed – the tfl online statement shows that he has used both stations – but the charging process always fails to associate these into a journey, instead showing two separate “incomplete journey” events – even though “the human eye” can see in a nanosecond that they form a normal journey – the (seemingly accurate) timestamps are just a few minutes apart on a route with a direct train service. He’s raised an official complaint to tfl about this. The reply from tfl is in and I found it interesting. I had assumed that all the oyster reader technology is owned and managed by tfl but looks like that’s an incorrect assumption. TFL acknowledge that there is a technical problem affecting journeys on this route (and have refunded all the penalty charges) but they say the error occurs because of some form of failure by Southern (or as they should have said, GoVia). My partner now buys a conventional paper rail ticket for this journey as dealing with these endless penalty charges is just too time consuming. Made me wonder what sort of service agreement tfl have with rail companies about accuracy / timeliness of data provided to the tfl back office from stations managed by other operators. In any event, whatever sanction tfl might theoretically have against GoVia, one can’t help noticing that GoVia management may have lots of other problems on their plate. An update paper on TfL ticketing developments is going to next week’s Customer Services and Ops Performance Committee. There is also a paper on making Tramlink cashless. You will note the twin pronged approach here – shifting sales off system and also off TfL supplied ticket media and also getting the cost of ticket selling down. The main pan TfL item of interest is the phased launch of an “Oyster App” from Summer through to the end of the year which will allow tickets and PAYG to be ordered via smartphones “on the move” and for the ticket or value to be collected on bus (yes really!) or at a station 30 minutes later. There are other features like improved refund processes and, at long last, weekly capping on Oyster but that is still a year away!!!! There will also be an online process for people who need to replace old Oyster cards that are not compatible with the Oyster App. @WW: Particularly interesting is slide 9 of the first presentation (marked ‘confidential’, but they did put it online) which includes an underlying assumption that sales of season tickets at Oyster Ticket Stops will end within 5 years and that the total commission paid will halve. Hard times to be a newsagent… Also that the business case includes improved revenue from journey time savings (ie. not having to stop to buy a ticket makes travel faster and so means more people travel). The ITT for the new South Eastern franchise has a fairly clear instruction to introduce Contactless card acceptance, as well as the back office version of Oyster, to the Medway towns. @ Matthew D – Interesting. I haven’t read any of the ITT in detail but that is quite a bold step. I assume this has been put together with TfL’s consent given the need for reverse connectivity from the TfL network *to* this proposed new fares area. Will be very interesting to see if it works in driving up usage of trains in the area. I wonder if this is a precursor to a wider expansion of PAYG once TfL’s expanded “back office” system is fully up and working and able to recognise a vastly wider range of destinations. Odd that Rainham will be on PAYG, but not Sevenoaks. @ Si – well I wonder if bidders might offer it anyway given the greater flexibility in the TfL system and the fact they’re being forced by DfT to use a specific system box anyway. Adding in a few potentially attractive destinations to PAYG will cost comparative pennies but may well bring in £s. Also earns stakeholder “brownie points”. Anyway this is a welcome apparent “change of mind” by the DfT and if their hatred of all things TfL can thaw a bit further then we might see a bit more commonsense on routes like Chiltern, up the Midland Main line, in SWR land and to parts of Greater Northern territory. I’m not suggesting a mass conversion but there are some obvious points not that far out of London where Oyster PAYG or a TOC version thereof using ITSO spec cards plus contactless bank cards would no doubt prove popular. I get a feeling the DfT are slowly preparing the way for what would become a clamour once Crossrail stretches to Reading. If the new South Eastern TOC gets this trial up and running quickly it could give DfT enough “evidence” to then get a wider roll out of something similar around the time TfL’s tentacles (and fares and ticketing tech) reach to Reading in Dec 2019. So long as it is not an excuse to rip passengers off by doing clever things on fares then I’d expect the public to be generally in favour of more convenient ticketing products. For the DfT it also gives a further basis to take cost out of station operations / ticket selling which is no doubt an unstated objective here. I knew that the O2 meltdown had taken out the ibus (or whatever the current name is) information service. But it also seems to have knocked out payments. I made a number of bus journeys yesterday, using a contactless bank card to pay. Normally these are processed overnight – but my statement today shows no travel during yesterday. Will wait to see if these journey charges will “catch up” now that the O2 network is working again or if all this data was lost in the comms outage. As an aside, yesterday made me appreciate how much I rely on apps to tell me when the next bus is – it felt very weird standing at the bus stop with no idea where the next bus was – yes, I know, first world problems. @ Island Dweller – TfL did tweet yesterday that trips would not necessarily reflect via the TfL Oyster app. Also that any “add value / add Travelcard” txns could not be collected on buses. I know this sounds silly but obviously part of the comms network (!) within various parts of TfL’s ticketing and I-Bus systems fell over as a result of O2’s woes. It was also quite telling looking at Twitter yesterday as people asked “TfLbusalerts” where buses were on particular routes – even those with very high frequencies. People are obviously very reliant on real time info now. It seems that bus company controllers couldn’t actually see where buses were yesterday and drivers’ terminals were posting progress against timetable rather than headway between buses. That throws up a few interesting questions about performance measurement yesterday and who takes the hit if performance was poor. That assumes TfL actually got any bus route performance data for yesterday! Looking back at my old post from a year ago about possible changes to DfT attitudes to Oyster it’s funny how things turn out. Almost a year on we’ve had the announcement that Oyster PAYG will be extended to various routes. Over and above that has been an announcement by Alan Jones, DfT minister, about a consultation next year to look at extending Oyster to a much wider area. I can’t find the announcement on the .gov announcements page but Railway Gazette did post an article about it. Nice to occasionally have my “mystic musings” actually prove to be correct. The new DfT minister (replacing Johnson minimus) is the MP for Harrogate & Knaresborough, Andrew Jones, not Alan. I doubt he has plans to extend Oyster to his constituency……………….